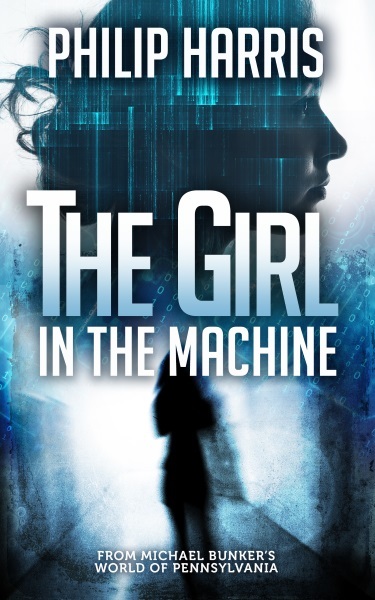 With the manuscript for The Girl in the Machine sitting with my editor, now seems like a good time to post the cover for the third and final Leah King book. As always, a big thank you to Adam at Around the Pages for putting together another fantastic cover. I’m really pleased with how this one came out and it reflects the cyberpunky feel that the third book has very nicely. 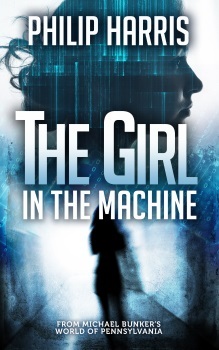 The Girl in the Machine will be released in the next couple of months. I’m really looking forward to seeing what everyone thinks of the finale. Of course, I’m also a little bit nervous but hey, that’s the author’s life for you. If you haven’t started the Leah King trilogy, the first book, The Girl in the City, is available on Kindle for just 99c/99p or free if you’re a member of Kindle Unlimited. You can get your copy right here.